It’s Bike Month Challenge again soon, and while I’ll be missing the first couple of days of biking in May, I’m excited about my summer commute, even though it’s gotten quite a bit longer with our office moving into Seattle’s Pioneer Square District. My new commute is a bit over 12km (7.6 miles) and shows the gritty side of Seattle, even though it starts in middle-class Ballard. From there, I am crossing Lake Washington Ship Canal via busy Ballard Bridge and pass by the industrial Balmer Rail Yard. 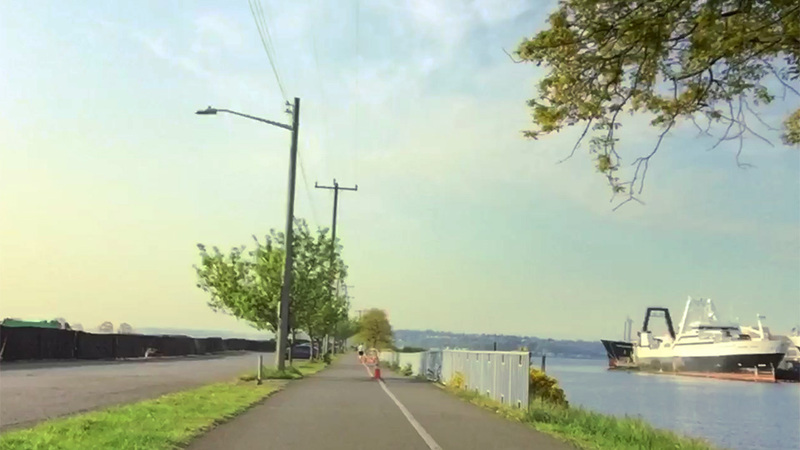 I am then entering may favorite part, Elliot Bay Trail, which takes me along Seattle’s waterfront and past Olympic Sculpture Park into the gigantic construction site, that is the Pioneer Square District.